Flex is introducing a very simple, inexpensive and easy to manufacture baby wipes package. 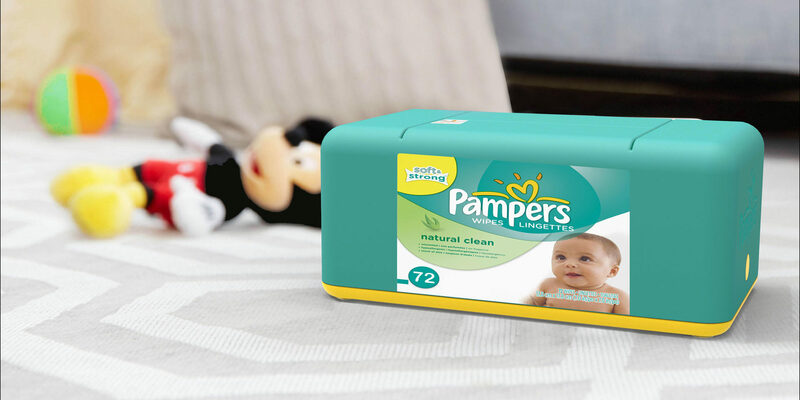 It is easy to dispense and use the wipes, and it is made out of just two parts. The lower part could be made out of a hard plastic like PP (Polypropylene), and the upper part could be made out of a soft, flexible plastic like silicone or PU (Polyurethane). To use the wipes, just push the flexible fins (on top) inward gently. After taking the wipe(s) out, the fins return to the first position to preserve the moisture of the wipes. To refill the package, push the circular buttons inside to release the upper part. Then slide the wipes inside. At the end, place the upper part back and make sure the two buttons on the sides are sitting correctly inside opening areas.